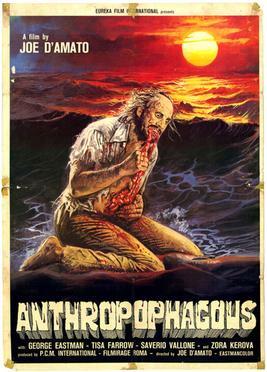 Anthrophagus is in the Italian cannibal genre, an outputting one to many. Director Joe D’Amato is responsible for this one, as well as many of the Emanuelle exploitation movies. And he was a busy man. He made 200 films, many of which are…in the adult genre. 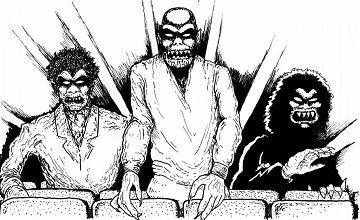 Anthrophagus was on the Video Nasties list in the UK, deemed too extreme to release. Does it live up to the hype? Also on the show, a discussion about the James Dickey novel Deliverance, and Rituals, a Canadian variant on the infamous Ned Beatty movie. Instead of four guys in a Georgia gorge (say that three times fast), Canadian doctors go on a fishing trip. And they face something equally as terrifying in Northern Ontario. Also known as The Creeper, this 1977 production actually features legit actors, notably, the legendary Hal Halbrook. And it’s not crap! Quite the contrary!